Cultivated in southern Colorado, our hemp is derived from our organically and sustainably-cultivated crops which thrive due to the natural Colorado sun, living soil, fowl-based insect control, cover cropping, companion planting of vegetables and herbs and extracted hemp biomass mulching. Nectar CBD cultivates propietary genetics, ensuring the desired phenotypes, cannabinoid potencies and THC compliance are met. Post-harvest, our CBD-rich Nectar CBD raw hemp material is extracted using a supercritical CO2 (carbon dioxide) extraction process. CO2 is a supercritical fluid, as it converts into a liquid form when pressurized. As CO2 is a naturally-occurring pure chemical substance, it leaves behind no residual solvent. Post-CO2 extraction, the extracted hemp oil is winterized, further refining the extract by removing plant waxes, chlorophyll, fats and other compounds. The CBD-rich hemp extract is then decarboxylated which means that the cannabis is heated to the point where the chemical compounds are converted from their acid form and activated for facilitated ingestion. 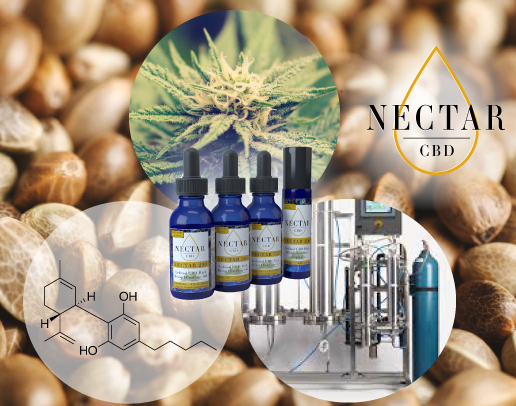 Our Nectar CBD full-spectrum CBD-rich distillate is formulated with only organic ingredients, which includes our CBD hemp oils (our Nectar oil products taste like sweet agave nectar! ), topicals and treats for humans and pets. Our Nectar CBD hemp oil products utilize organic ingredients because purity and quality of ingredients are of paramount importance. 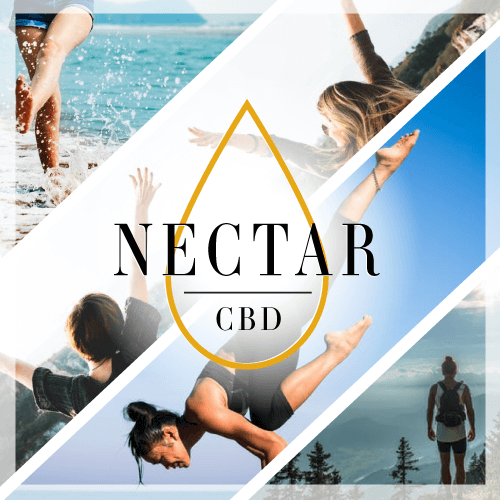 To shop our Nectar CBD product line, click here.